John McGuinness is 61 years of age. He was first elected to the Dáil 20 years ago. He’s been a minister for state and chairman of the Public Accounts Committee (PAC). He’s a strong media performer and he’s no fool. 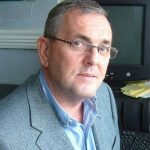 He was summonsed to a meeting by the now-disgraced then-garda commissioner Martin Callinan in the car park of Bewley’s Hotel in Dublin. The meeting took place in January 2014 and lasted about half an hour. It happened just before McGuinness was due to chair the PAC’s hearing of garda whistleblower Sgt Maurice McCabe’s evidence. In May 2016 McGuinness put the meeting on the record of the Dáil, having previously kept it secret. A few days later he told RTÉ that Callinan attempted to undermine the credibility of garda Sgt McCabe during the meeting. McGuinness also said he had heard the smears before; he had put them to Sgt McCabe and he was satisfied Sgt McCabe was trustworthy. McGuinness has today confirmed that the false smears he heard from Callinan in the car park three years ago are the same stories that emerged this week. Why did Callinan make these claims like this? He delayed an event to commemorate the murder of Garda Adrian Donohoe in Co Louth to meet McGuinness. 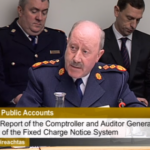 He brought no documents, and it is clear that McGuinness believed that Callinan’ claims were lies. Why so important to meet in person in such a way, but not so important to bring any supporting documents? And why did McGuinness react as he did? He waited two and a half years to make the existence of the highly irregular meeting known, and another year to confirm its contents. Callinan was not passing information to McGuinness – McGuinness had heard it all before and knew it was lies anyway. He was not attempting to persuade McGuinness of the truth of the allegations. Martin Callinan was threatening John McGuinness. He was saying We can destroy McCabe, and we can do a fair bit of damage to you too, if we don’t like the way you perform at the PAC. And, like the best threats, it was unspoken. That is why McGuinness said nothing of the meeting. Much later, in 2016, Callinan had resigned in disgrace, and McGuinness was able to put the meeting on the record, no doubt to limit the possibility of it being used against him. And now, Callinan and his sidekick are on the ropes – O’Sullivan has been caught in two specific lies, one that she didn’t instruct her lawyers to attack McCabe’s integrity, and two that she knew nothing of the smear campaign. McGuinness knows that the subtle blackmail threat is over, and he is able to confirm what transpired.